We are excited to share with you a Free Printable service kit as part of the mormon.org #LIGHTtheWORLD Christmas campaign. Sugardoodle has teamed up with some fabulous bloggers to help spread the word and supply you with some beautiful printables to help you and your family serve someone else. This free Christmas printable kit was created by a mother and daughter team at Polka Dot Poplars. 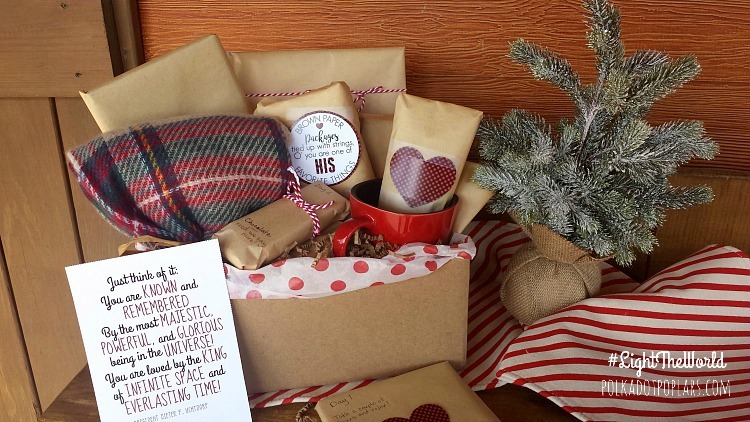 They came up with the idea of brown paper packages to represent the humble gifts that Christ has given us. 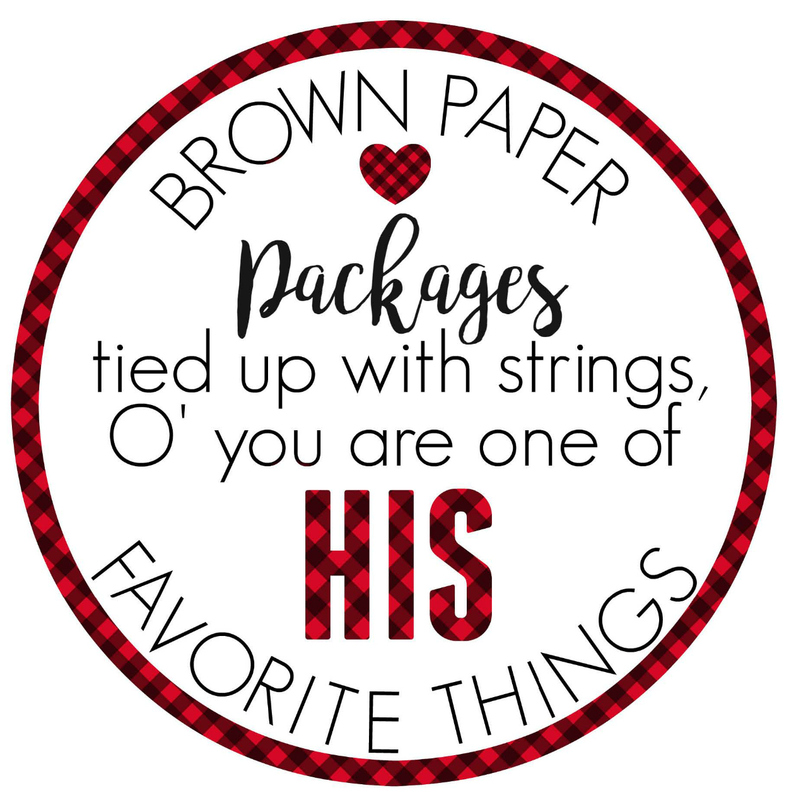 It’s also reminiscent of the song My Favorite Things and reminds us that WE are one of HIS favorite things. These printables can be used to cheer someone up in a variety of ways. Here’s a video explanation from the ladies at Polka Dot Poplars. All of the instructions and printables are completely FREE to use, however you will not find them here on Sugardoodle. 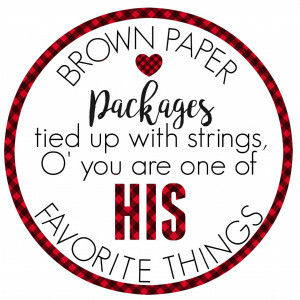 Instead we have shared them with some fabulous LDS bloggers and site owners who have each taken these printables and used them in their own way. You can find them by visiting the #LIGHTtheWORLD main page and clicking on one of the supporting site links. This list is growing daily, so check back often! We hope these free kits will help you bring the light of Christ to those around you. The idea is to find a way to serve others, no matter how big or small. Share these printable kits on your social media and spread the goodness with others. Be sure to use the hashtag #LIGHTtheWORLD as well as share the mormon.org video to help spread the beautiful message of bringing kindness to others. Thank you Polka Dot Poplars for this creative kit! And remember to share all you can (tweet/pin/post) to spread His light to all the world! This entry was posted in #LIGHTtheWORLD, Charity, Christmas, FHE, free printables, Gifts, Love and tagged #LIGHTtheWORLD, christmas, DIY, family, Free printables, Love, service on November 26, 2016 by Melanie Day.